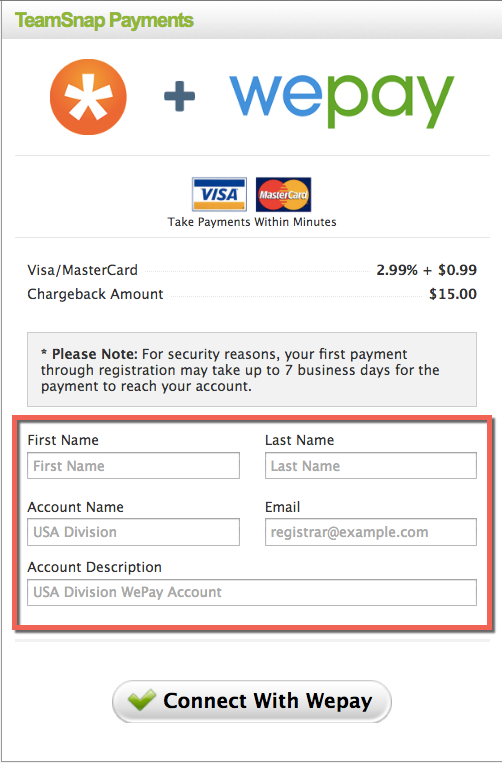 Learn how to set up your organization's payments tab to accept registration and invoice payments. First and last name should be your organization’s registrar, treasurer, or the primary party responsible for registration. The email address entered should again be the registrar, treasurer, or an alias for your organization. Setup confirmation and all future emails from WePay will be sent to that email address. Complete your account set up and verification Note: You'll need to complete the KYC information and link a bank account (checking or savings) to receive funds. You have 14 days to complete this information before a freeze is put on the account. Select Personal if you are using WePay for reasons other than merchant activity or for your registered non-profit. Requirements: full legal name, current address, phone number, date of birth, and social security number. Entering inaccurate information may delay processing times for your payments. 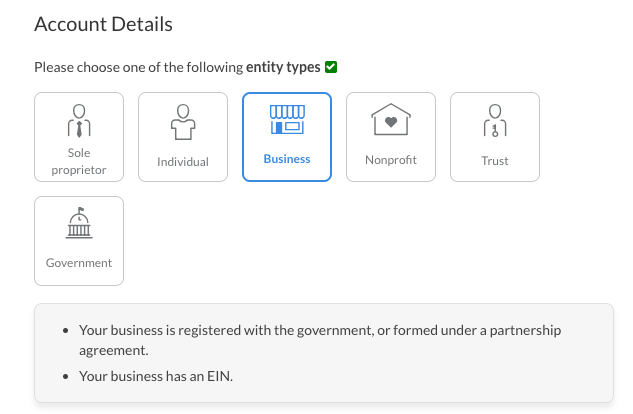 Select Business or Nonprofit if you are using your account for a business or organization. Requirements: an EIN if you have one, your legal name, the name of your business or organization, your address, and your SSN. Entering inaccurate information may delay processing times for your payments. Once you've completed your account setup, verification, and added a bank account, you are ready to accept payments via invoicing or registration! Unable to complete setup right away? You can return to your WePay account by clicking Manage My WePay Account under the Payments tab. Complete the information and you are ready to go! Warning: Please do not make any test payments to yourself. 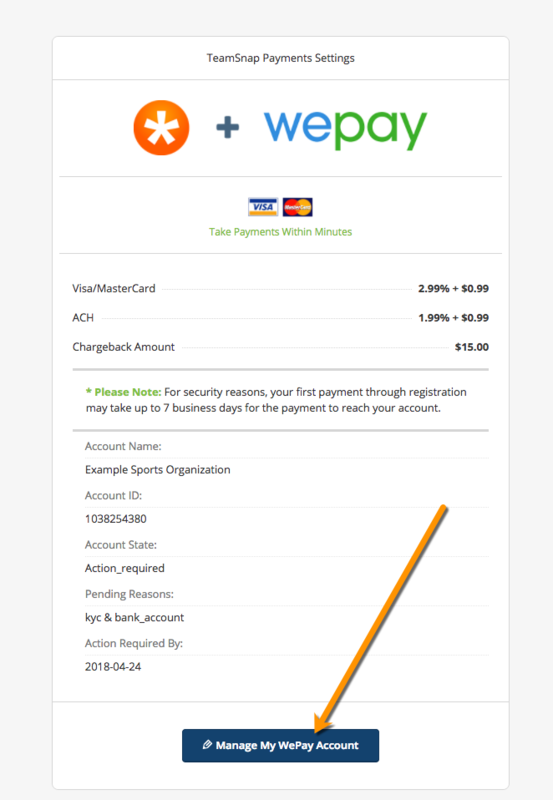 WePay can't process self payments. The information in their system will indicate that you made a payment to your own account with your credit card. Unfortunately, this can be interpreted as using WePay's system to provide yourself with a cash advance which is against their Terms of Service.